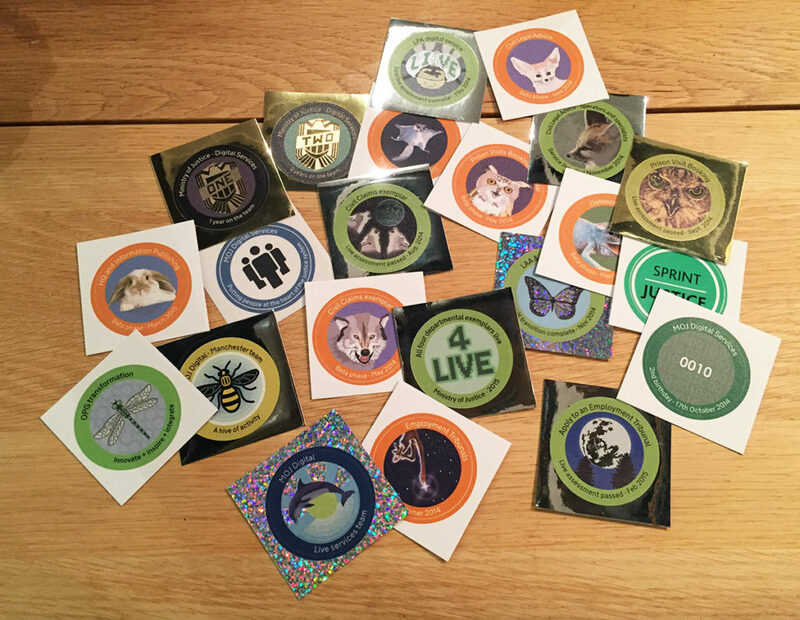 Whilst working as Head of Design in MOJ Digital one of my tasks is to create mission patches (stickers) that are used to celebrate project milestones, such as passing a GDS assessment, as well as to commemorate or mark important events for the whole team. Taking our cue from GDS, who themselves took the idea from NASA’s mission patches, each team chooses a ‘spirit animal’ and the patches are designed around this. 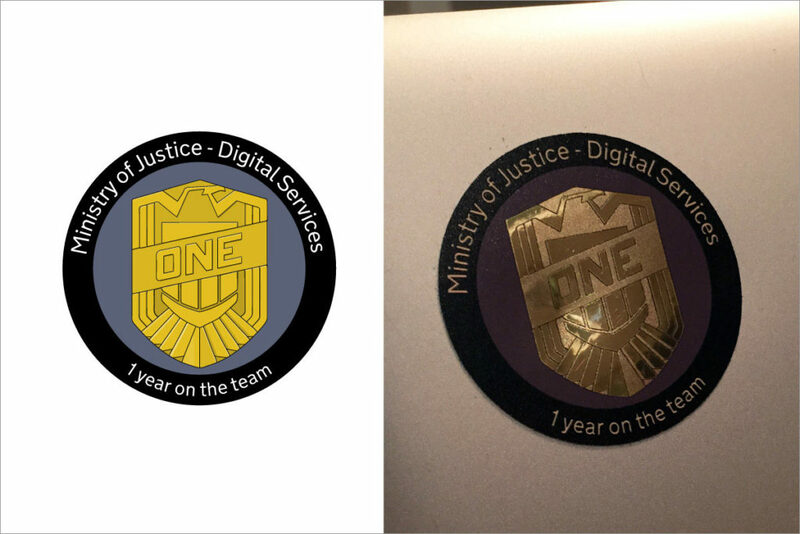 Since I started at MOJ I’ve designed over 25 patches, including ones celebrating the team’s birthday and ones that mark when members have been on the team for one year, two years etc. As you’ll see from the pictures, I used different materials, including gloss, matt, shiny (gold and silver) depending on the milestone or intended use. This is the bottom of my iMac at MOJ with some of the earliest patches I designed, including for the Prison visits booking product that I worked on. 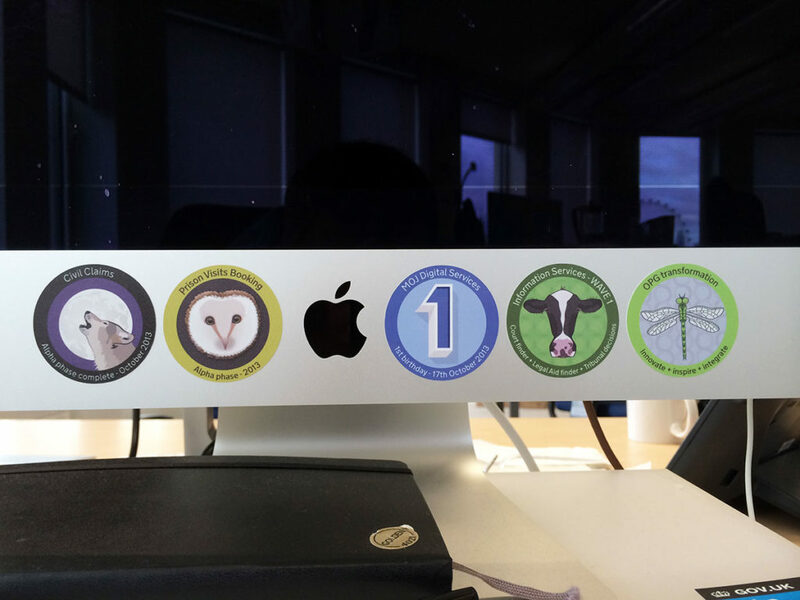 Three patches that were designed to mark milestones on a project our team worked on that was called Civil Claims (and Accelerated Possessions by the time it launched). 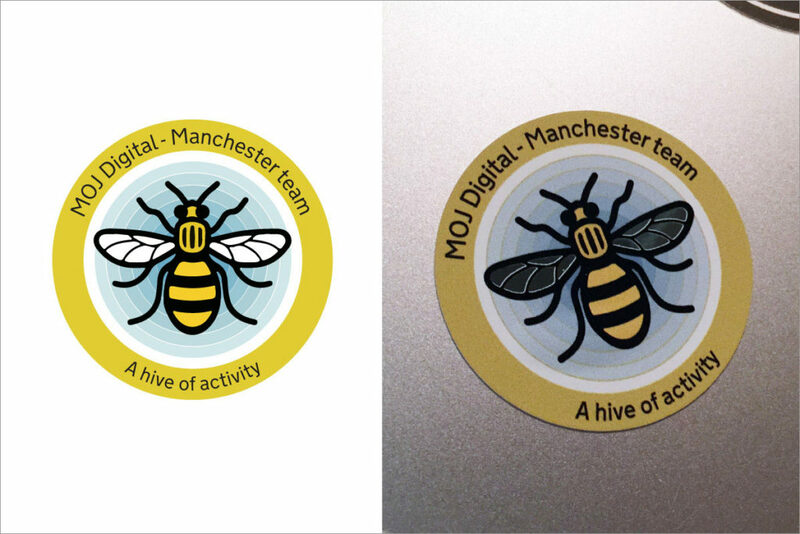 One of our product teams is based in the city of Manchester and this patch was designed for them. It’s based on one of the emblems of the city, the worker bee, which was a motif adopted during the industrial revolution. These patches were not project-related and instead the left two celebrated team birthdays and the one on the right was used to promote the team at an internal event. Homaging the badge worn by legendary 2000AD character Judge Dredd, this patch was designed to celebrate when people had been on the team for a year. There is also a similar patch for the second year anniversary. 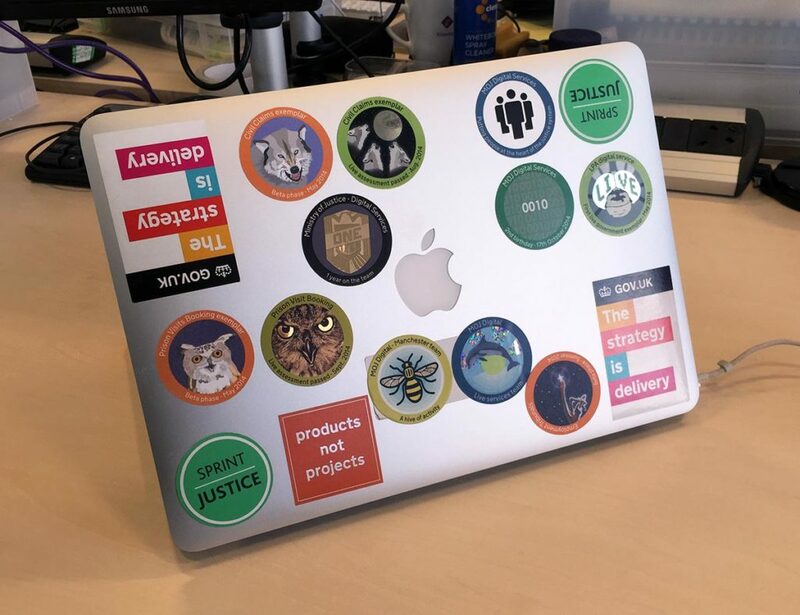 One of my colleague’s laptops covered in stickers that I designed (except for the two GDS ones top left and bottom right). A pile of most of the stickers I’ve worked on at the Ministry of Justice.